If you are a foreign national planning to travel internationally this summer, make sure that you have all the necessary documents, including a passport with sufficient remaining validity, a valid U.S. visa in the appropriate classification, and advance permission to travel if necessary. If you will need to apply for a visa while you are abroad, be prepared for possible delays in visa issuance. On reentry to the United States, expect thorough screening at the port of entry. If you are a foreign national planning to travel abroad this summer, now is the time to make sure you have the immigration documents and instructions you need to depart and reenter the United States. Understanding your immigration obligations can help minimize travel delays. some exceptions to this rule. Many countries have an agreement with the United States under which a passport is deemed valid for an additional six months past its expiration date so that the passport holder can return to his or her country of citizenship. If you have questions about whether your passport is valid for reentry, contact your designated Fragomen professional or click here for more information. Check your visa to make sure it is valid for reentry to the United States. When you come back to the United States after international travel, the visa stamp in your passport must reflect your current nonimmigrant visa status, it must be unexpired, and, if the visa has a limited number of entries, it must have a remaining valid entry available on the intended date of reentry to the United States. Canadian citizens are not generally required to have a valid visa to enter the United States, unless they are E-1 or E-2 nonimmigrants. Under certain circumstances, if you are making a short trip of 30 days or less to Canada or Mexico and have a valid I-94 arrival record, you can reenter on a previously issued visa even if it has expired. But if you have applied for a new visa while in Canada or Mexico or if you are a citizen or national of Iran, Sudan or Syria, you must wait to obtain the new visa in order to reenter the United States. For additional information on visa requirements, click here. If you are an adjustment applicant, find out whether you need advance permission to travel before you leave the United States. If you are an applicant for adjustment of status to permanent residence, you may be required to obtain advance permission to travel - known as advance parole - in order to leave the United States while your adjustment application is pending. If you already have a valid H-1B, H-4, L-1A, L-1B or L-2 visa, you may reenter the United States on that visa, without the need for advance parole. But family members in H-4 and L-2 status who have worked in the United States pursuant to an employment authorization document (EAD) issued in connection with their adjustment of status application should be cautious when traveling, and are advised to obtain and use advance parole for reentry to the United States. Is a change or extension of your status pending with U.S. Citizenship and Immigration Services? Traveling abroad while an application to extend your status is pending should not jeopardize your application. But if you have a pending application to change status to another nonimmigrant category, you should avoid international travel until it is adjudicated. USCIS will consider the change of status request to be abandoned if you depart the United States while it is pending. Though the underlying nonimmigrant petition could still be approved, you would need to depart the United States, apply for and obtain a new visa, and reenter to take up the new status. If you're planning business or tourist travel to the United States under the Visa Waiver Program, make sure you comply with program requirements. The Visa Waiver Program (VWP) allows citizens and nationals of designated countries to enter the United States for up to 90 days of business or tourist travel without a visa, provided that they meet specific registration and passport requirements. If you're planning to travel under the VWP, you will need to have a valid registration in the Electronic System for Travel Authorization (ESTA) at least 72 hours before your departure for the United States. Find out more about VWP passport and ESTA requirements here. If you are a Chinese national traveling on a 10-year visitor visa on or after November 29, make sure you have enrolled in the Electronic Visa Update System (EVUS) at least 72 hours before travel. Failure to enroll could result in a provisional revocation of your visa and delays in your travel plans. Find out more about EVUS enrollment here. Plan for the possibility of visa issuance delays at U.S. consulates. During the holiday travel season, U.S. consulates overseas are busier than ever and may have reduced hours. If you will apply for a new visa while abroad, check the relevant consulate or embassy for specific information about appointments, application procedures and processing times. Detailed information about visa application procedures is available here. Plan for possible security clearance delays during the visa application process. If you will apply for a new visa before returning to the United States, be prepared for lengthier wait times and the possibility that your application will be flagged for enhanced security checks. The U.S. consulate may require your visa application to undergo additional security screening based on your country of nationality, whether your name is similar to an individual listed in a U.S. government security database, or whether your job or degree is in a high-technology field, among other reasons. Though security checks are a regular part of the application process, new directives from the Trump Administration require the State Department and other agencies to implement more stringent vetting of applicants. If a security clearance is required, your visa cannot be issued until the clearance has been completed. Because this process is confidential, the consulate will not confirm that a clearance is underway but may indicate that "administrative processing" is required. Security clearances can take anywhere from a few days to several weeks or more. In general, the government will not expedite a security clearance. At the U.S. port of entry, be prepared for enhanced security screening procedures. When you return to the United States, you will need to go through the Biometric Data Collection System, a check-in process where your fingerprints, photograph and travel documents are scanned against U.S. national security and police databases. You may also be subject to intensive questioning about your immigration status, travel history, the purpose of your visit, background, employment and other issues. This could include a search of your electronic devices. It is important to remain patient during the inspection process. Before you travel, check your employer's procedures for dealing with searches of company-owned phones, laptops and other devices. During inspection, answer questions to the best of your ability. If you don't understand a question, ask for clarification. If you are detained at the port of entry, you are generally not entitled to have a lawyer present, but you should ask for permission to call Fragomen offices if the need arises. 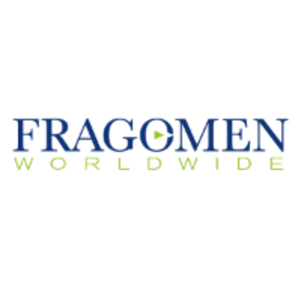 You should explain that contacting Fragomen will allow us in turn to contact your employer if further information is required. For detailed information about border procedures, click here . Obtain your Form I-94 arrival record. Once you have been cleared by U.S. Customs and Border Protection at an air or sea port of entry, your passport will be stamped to show the date and class of admission, and the expiration date of your authorized stay. Your immigration information and duration of stay will also be entered into CBP's online I-94 arrival record system. The expiration date on the passport stamp and the I-94 record marks the expiration of your eligibility to remain in valid legal status in the United States. Overstaying this date can have serious consequences. After your arrival in the United States, you must obtain a printout of your online I-94 here. You should send a copy to your Fragomen professional and retain one for your records. Notify your Fragomen professional as soon as possible if you note any errors in your I-94 record. On our firm's website, you will find detailed information on international travel and immigration obligations. This alert is for informational purposes only. If you have any specific questions about your travel plans, please contact the immigration professional with whom you work at Fragomen.